A kitchen remodel is a great way to increase the value of your home and the usefulness of the space. If you’re planning to start your remodel this year or just a few simple upgrades to freshen up your kitchen, you’ll want to know what’s hot and what’s not. While some kitchen trends change quickly, others stick around for some time. Before choosing your fixtures, paint colors and appliances, see what 2018 has in store for kitchen remodeling. Are you ready to start your next kitchen remodel? Contact Jesse today and receive a consultation and quotes for free! While some people plan to remodel and sell their homes, others are just in need of an upgrade for an outdated kitchen. Whatever the reason, this year’s trends should be incorporated whenever possible. A trend that tops the list for 2018 is open shelving. This has been an up-and-coming trend for some time. If a homeowner does not want to deal with the expense of a new cabinet installation and wants to embrace the minimalism trends, open shelving is the solution. It makes the space look open and airy, which is what homeowners are looking for when it comes to their kitchens. If you have a kitchen island, getting on board with this trend will be easy for you. Create some seating arrangements and a centerpiece to make it a gathering point for all. In any room in the home, warm metallics are in style this year. When it comes to the kitchen, copper is the finish to have. 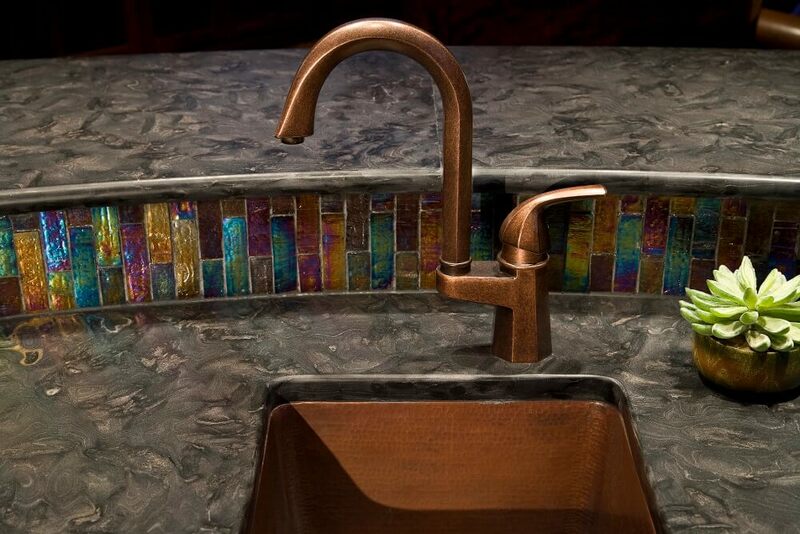 From faucets to kitchen cabinet hardware, copper can be used to add a sleek look to the room. Most of these updates are affordable as well, making it a budget-friendly way to change the décor of your kitchen. The latest kitchen gadgets incorporate smart technology into their function. This trend was popular in 2017 and will carry through 2018 as more new technology appears. The kitchen is now a tech-savvy space. From automated cooking appliances to simply telling your lights to turn on, these are items a home chef can only dream of. This year, make sure that your kitchen is prepared for all the new technology by creating docking stations and more outlets to plug in all your devices. The average cost to install an outlet is $193. 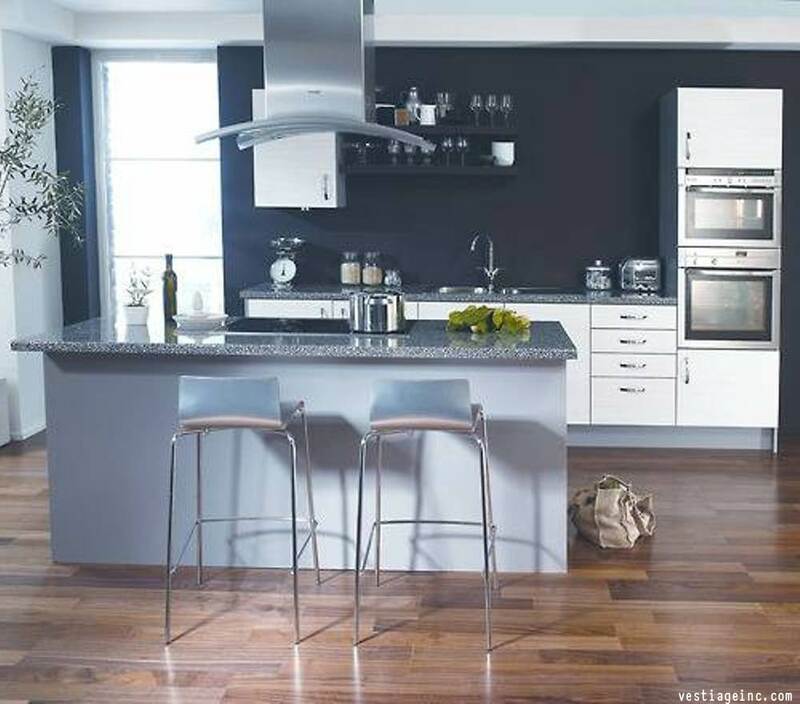 As a surprise to many, darker kitchen paint colors will be popping up across the country. Charcoal, navy blue and forest green are all hot colors to have. This matches with this year’s bathroom trends as well, as navy blue with be the popular color to have. If you’re planning on changing the color of your kitchen this year, the average cost to paint an interior is $1,679, with most homeowners spending between $1,130 and $1,826. However, depending on the size of your kitchen, this cost could be less. Natural elements are a hot item to have in any area of the home. If you’re looking to remodel your kitchen this year, consider adding wood countertops. These are a trendy feature to have in your kitchen and will also benefit home chefs. It’s a rustic look that will look great paired with any of this year’s trends. If you’re looking for an eco-friendly option, consider reclaimed wood countertops. Bright Accents: With current trends pointing towards deep and dramatic colors, bright accents won’t fit into this color scheme. 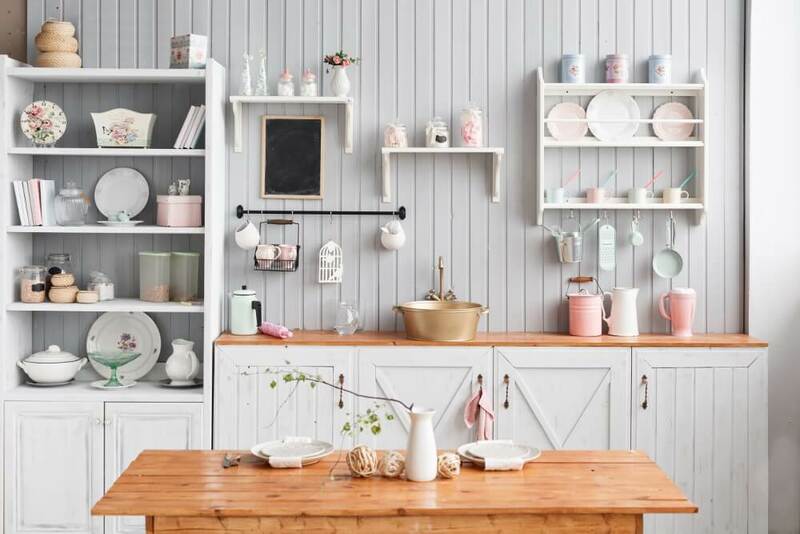 Hanging Pot Racks: While pot racks that hang from the ceiling or wall are certainly space-saving, open shelving makes it possible to store and display your pots neatly. Window Treatments: When it comes to the kitchen, keeping it open and airy is key. Kitchen trends this year focus on making the room a warm place for all to gather. Try a few of your favorites and give your kitchen a whole new look! This season, why not treat yourself by realizing the dreams you have for your home? Whether you’re undertaking a minor remodel or complete home renovation, your project can enhance your quality of living and boost your home’s curb appeal and value if done right. Your kitchen is the hub of your home, which is why it’s important to ensure it is functional and welcoming at all times. Updating this room can generate a high return on investment. You can count on us to bring new life to your cramped and dingy kitchen. From rearranging appliances to choosing the right fixtures, we’ll suggest design ideas that suit your style and needs. If you only need a small update, you can take advantage of our custom kitchen cabinet installation. This can improve the space’s functionality and beauty without the steep price tag. If your home is becoming short on space, that doesn’t mean you have to move out. Instead, you can maximize its potential by building an addition. You can use this as an extra bedroom, a lounging area or even a studio. Your imagination is the only limit. With our thoughtful design and innovative techniques, we can create a seamless connection between your home and your addition. We match the details of your interior to preserve visual consistency. Having your own outdoor oasis provides several benefits for you and your home. Whether it’s a deck or patio, it gives you a great venue for admiring your picturesque views, hosting parties with your friends or just enjoying a quiet dinner with your loved ones. Our crew can help you design your own serene haven. For most people, home renovations answer a family need- perhaps a finished basement for the kids’ playroom or an upgraded master bath. All of these are worthwhile projects if you plan to remain in your home for more than a couple of years. On the other hand, if you’re looking to add value right away, your dream renovation may be a sleek new kitchen with granite counters and stainless-steel appliances or a fabulous in-ground pool. So, with the summer here, what better time than now to start your home renovations? Finish your basement: If you’re looking for a cost-effective way to add extra living space to your home, a basement remodel can offer a 70% return on investment. Painting your home: When painting outside, summer means you don’t have to deal with spring storms or winter snows. When you are doing the work inside, you have the advantage of keeping all the windows wide open for the best ventilation and drying. Replace your windows and doors: In addition to improving curb appeal, upgrading windows and doors typically makes homes more energy efficient. Landscape your garden: If you want to landscape and add some color to your garden, then summer is the time to do it, as plants and shrubs need the warm months to become acclimated to their new home. Among the many other advantages of renovating a home are the benefits of reduced maintenance and utility costs. Home repair costs often increase significantly when maintenance is ignored or postponed too long, but by starting an improvement project when a problem first appears, it will often save you from additional expenditures. Replacing windows, doors or siding will result in greater security and a higher level of energy efficiency. When you replace outdated and insufficient insulation with newer and more efficient materials, your energy savings will be substantial over time too. Even the addition of a sunroom can reduce energy consumption and lower the operating cost of a house. 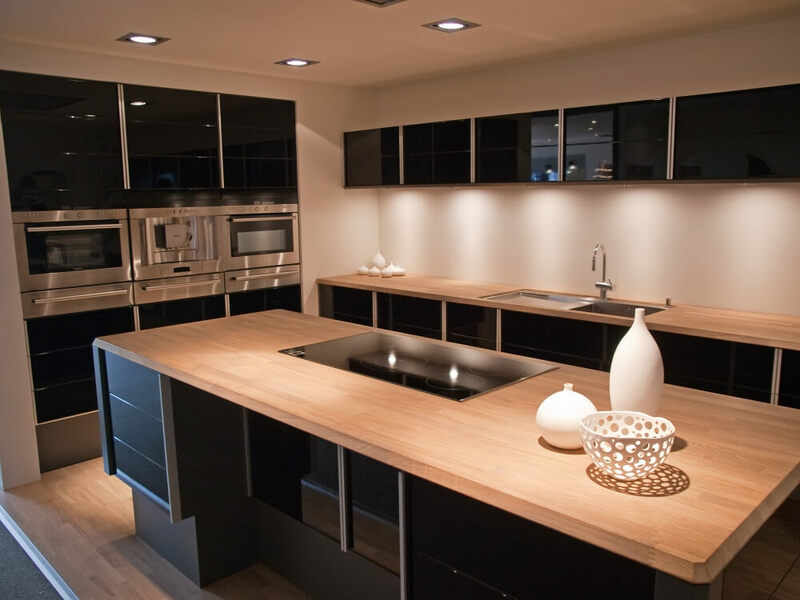 Whether you are seeking the dream kitchen you have always wanted or the dream home you have always pined for, River View Contracting is here to help. With over 20 years of experience and a fantastic reputation, River View Contracting can make your dreams a reality. We pride ourselves on providing excellent customer service, professional expert workers, and competitive rates. To learn more about our custom home building, visit us online or give us a call at 804-436-3463. To learn more about our services and who we are, follow us on Houzz, Pinterest, Facebook, and LinkedIn. Here in the Northern Neck spring is just around the corner! With the transition to warmer weather and longer days, you may be itching to prepare your dwelling for the months ahead. Spring offers some bountiful opportunities to work on your home and update its appearance both inside and out. The following are some spring renovation project ideas that can boost your home’s functionality and aesthetic. With winter beginning to wind down, and spring just around the corner, many homeowners out there are trying to find something to look forward to since the excitement of the holidays and the new year has passed. While most homeowners are likely going to be quite busy when the weather finally turns and spring arrives in full force, we still have a little bit of time to wait before that happens. Spring can be a wonderful time for a number of projects around the house, but renovation projects are easily some of the most popular. It’s not too soon to call and start on your new expanded kitchen or home addition, now is definitely the best time to start planning for it. There are a number of excellent benefits to planning your upcoming home renovation project before the weather takes a turn for warmer temperatures in the upcoming weeks, and to help highlight just what a couple of those are, we have taken the time to put together this short list that we hope will help. One of the biggest benefits in starting to plan your upcoming home renovation now before the spring arrives in full force is because you will have a great deal of extra time to really nail down all of the details of your upcoming project. Beginning the planning stage of your project now gives you ample time to go over all of your ideas and renovation goals with your family and friends to determine what the best course of action is going to be. This also gives you plenty of time to determine what your overall budget is going to be and which project, or projects, you are going to try to get done in the coming months. All of this extra time also means that you can get in contact with your local contractor and go over your ideas to get a firm idea of what is going to be possible and what kind of price point you are going to be looking at in order to get the project done the way you want it. Taking the time to start planning your upcoming renovation project now means that you are also likely going to have your pick of the best scheduling options available in the spring. Most other homeowners aren’t going to be looking at when their contractor is going to be able to take care of their project at this time of year as they are still determining whether or not they are going to be getting anything done at all. Scheduling your project now means you are much more likely to be able to get a time frame that is going to be convenient for you a opposed to just taking what they have available. River View Contracting can work with your schedule to get the job done right and on time! One of the biggest problems with spring and summer renovation projects around the house tends to be the fact that by the time the work is complete, you have already lost a great deal of valuable time that you could have otherwise spend enjoying your new features. By planning your project out now and scheduling it early in the spring, however, you can have your project done in time to enjoy the entirety of the upcoming spring and summer seasons. This can be especially beneficial if your prospective renovation project has anything to do with your home’s outdoor spaces. Contact our team at River View Contracting today! Adding or renovating a stylish home office will give you a place to work, as well as add value to your home. A home office should be a dedicated space that allows for minimal distractions and maximum focus. Luckily, there are plenty of design elements that will help you achieve the style you want in your home office. For those of you that are taking on a home office addition, renovation or remodel, here are a few inspirational ideas that you can add into your plans. A home office desk isn’t simply the place you get work done – it’s the main focal point and design element of the room. The desk and chair you choose will dictate almost all of the other decorative items in the room, so make this your first purchase, before any decor. Take advantage of this by getting a stylish office desk and chair that will make a statement as soon as you walk into the room. As a place of work, you should have plenty of available shelf space for books, files, awards and decorations. Organizing these important items is essential to maximize productivity and concentration. Additionally, a home office that’s well organized will help optimize your workflow. Built in shelves can help to create a cohesive look throughout the office. If you want to reduce the stress of finding the perfect filing cabinet or storage system, opt for something that is a permanent fixture, you can always adjust what you fill the space with if your tastes or needs change in the future. While not everyone will have a spectacular view – or even windows – those that do should take advantage of it. After all, a window lets in light that brightens up the room, keeping you more alert and gives you something to take your mind off work during inevitable breaks during the day. Keep your windows front and center by keeping them free of blinds or curtains and position your desk towards the window so you have a view of outside. To create a stronger sense of depth, work some textures into the walls, floors and/or ceiling. Get creative with some old, reclaimed wood and install an accent wall for a more layered design style. For a less permanent solution you can try a patterned wallpaper that can be changed with minimal effort if you decide to switch it up. You can also try unique patterns with the floor or ceiling to add interest and intrigue that will peak visitors interest immediately. To give your home office a more spacious feeling, use lines to your advantage. Lines that run the length of the room will provide more depth and make the space feel much larger than it is. Wherever there is counter space, you can add a home office. Repurpose some space in your kitchen or basement and transform it into a workspace. Whether it’s a couch or a couple of chairs, a piece of accent furniture can add that extra dash of style you may be missing. It also gives a place for clients to sit when talking business, as well as a spot for you to kick back and relax after a hard day’s work. Need Help Styling Your Home Office? Contact Riverview Contracting Today! We’re a premier provider of home office additions, renovations and remodels in Virginia’s Northern Neck. If you’re looking for a trusted partner for your upcoming construction project, get in touch with us. You want a new kitchen! A beautiful, functional kitchen that you and your family will love. But is the money to remodel worth the value you’ll get out of your home if you decide to sell? What would your ROI (return on investment) be if you remodel and then move? A kitchen is one of the first rooms a potential homeowner looks at when buying a home. So a well-maintained, updated kitchen is a big part of a home’s value. How big exactly? Pretty big according to this respected online remodeling resource: In their 2016 Cost-vs-Value report they share that a homeowner remodeling a kitchen in the Richmond -Tidewater area should expect to recoup 72-76% of their investment. Dollars well spent! In comparison, the surrounding South Atlantic area boasted a smaller but still impressive value of 62-65% ROI on their kitchen remodel. So how do you design a kitchen that you will love while still getting the most for your money if you decide to sell? Stay tuned for our next post and we’ll share how! Get remodeling! 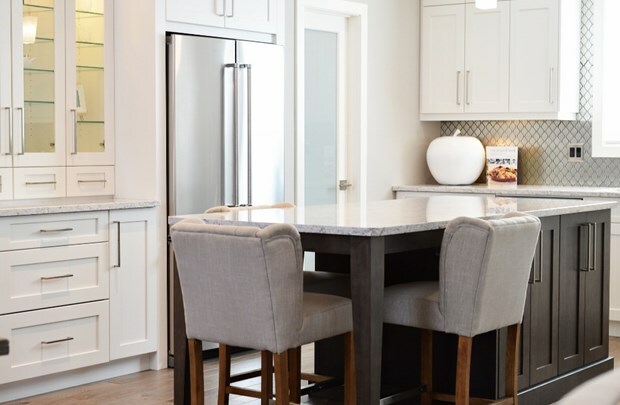 Connect with us here at Riverview Contracting to start talking about your new kitchen today. Serving the Northern Neck Area, including Northumberland, Lancaster, and Northumberland Counties and the Middle Peninsula.